One of the most important and iconic Air Jordan silhouettes and colorways of all-times will be returning this Saturday. 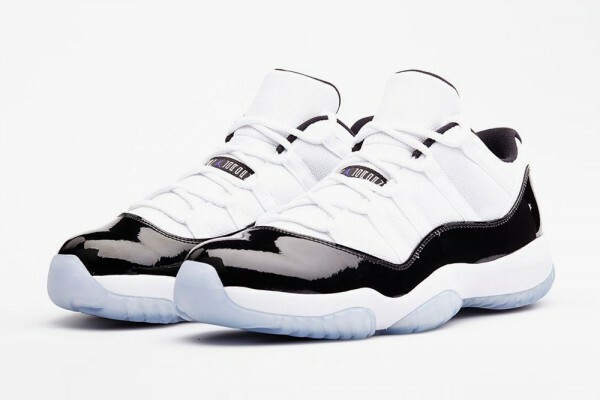 The sought-after AJ11 Concord makes a comeback for the Summer in a low top rendition following up to the shoes controversial OG rendition retro release in 2011. The 2014 Concord 11′s lows take on the look of the OG Version, bringing back the the predominately white upper with the signature black patent leather wrap-around panel and purple accents. The icey blue soles also make a comeback. The Air Jordan 11 Retro Low “Concord” will be available this Saturday (May 3rd) over at the Nike online shop and Jordan Brand retailers worldwide.